The Clippers on Wednesday recalled second-year guard C.J. Wilcox from Canton of the NBA Development League. Wilcox played three games for the Charge and averaged 19.7 points, 3.3 rebounds and 3.3 assists. Overall, Wilcox has appeared in 18 D-League games this season for Canton and the Bakersfield Jam. He has averaged 18.1 points, 4.0 rebounds and 2.9 assists. 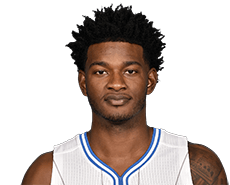 Wilcox has played in 13 games for the Clippers, averaging 1.5 points in 4.6 minutes. This entry was posted in Results and tagged C.J. Wilcox, Los Angeles Clippers by Robert Morales. Bookmark the permalink.